Dental chews help to eliminate pigment deposits on teeth, remove plaque, reduce tartar build-up and massage the gums. 100% digestible and natural, contains antioxidants. 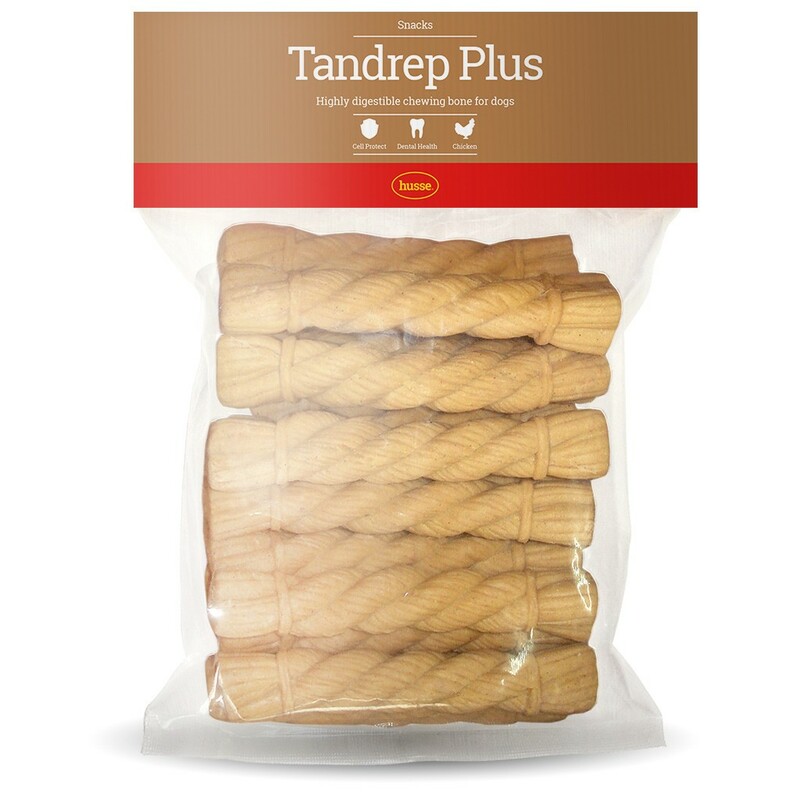 Tandrep Plus is a 100% digestible and natural dental chew bone for dogs. Regular use contributes to healthy teeth and gums. It also helps to eliminate pigment deposits on teeth, removes plaque, reduces tartar build-up and massages gums. 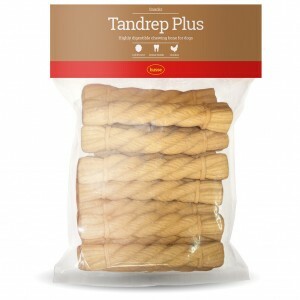 Tandrep Plus contains antioxidants which contribute to protect the membrane of the body cell. Store in a cool dry place before opening. Store in a low temperature (0°C - 10°C) after opening. chicken, rice powder, collagen protein, multivitamins, sodium carbonate, natural spices, water.